MSR poster display at Seattle Cultural Art Center. Sample MSR posters from students at Cherokee High School South (Special Ed Department), Marlton, NJ. See more photos here. 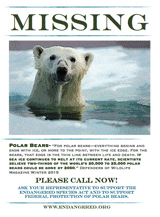 The Missing Species Report project forms an essential backbone of our Vanishing Species campaign. The Missing Species Report project can be split into three distinct sections. 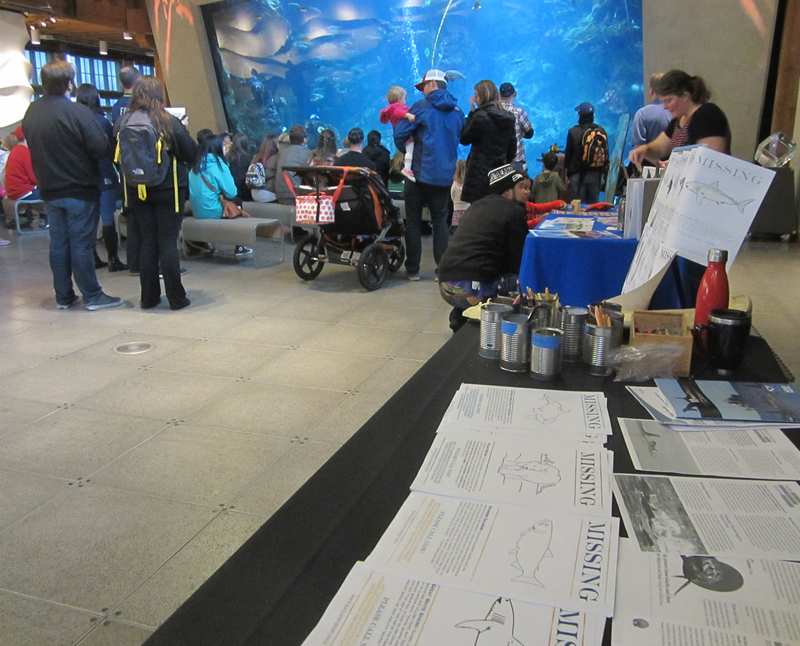 First, by using a curriculum that meets common core standards, we hope to educate the next generation about the importance of biodiversity and protecting America’s unique endangered species. 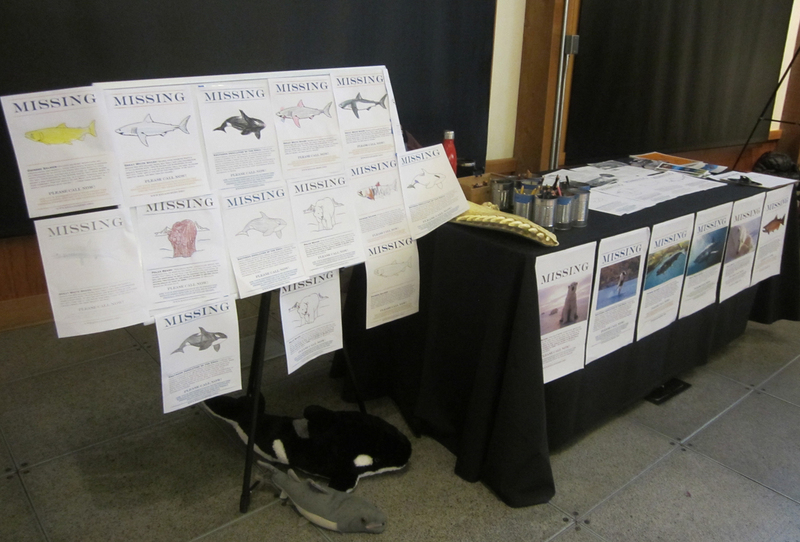 Second, the MSR project aims to inspire not only students but their community as well, by completing missing species reports and posters at the end of the curriculum. Lastly, we hope that the MSR project will engage students, teachers, and their communities beyond the completion of the curriculum. This could be as easy as exhibiting a class’ missing species posters in a public space, participating in habitat restoration as community service, or providing the monarch butterfly larva a food source by assisting in milkweed planting. 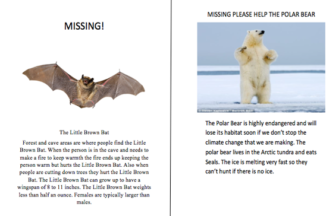 Elsewhere on this page, you’ll find the educator curriculum, missing species report outline and poster template, and additional resources that you may find helpful. 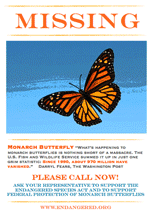 For additional details about the project, you can also read this letter from Leda Huta, executive director of the Endangered Species Coalition. The Missing Species Report project can easily be incorporated into a K-12 science, art or general lesson plan. The MSR is also applicable to out-of-school time programs, non-profit organizations, and a wide range of other educational programs. *The first step is to review the appropriate grade level MSR curricula (early elementary, elementary, middle school and high school). *Once you familiarize yourself with the adaptable lessons, they can be adjusted to accommodate your schedule, classroom and other needs. You’ll note that there are a variety of accompanying activities and other suggestions for great ways to extend student learning and participation. In addition, this site features special resources to help enhance your discussions. After reviewing the curricula with students, they will be able to use the template provided to complete their Missing Species Report. We hope that you will share the completed reports with your Congressional Representatives as noted in the curricula. Please let us know if you would like our assistance making arrangements for a Representative’s visit to your classroom. 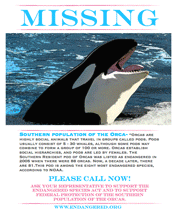 *Students can then create a Missing Species poster. As you’ll see from the examples, they have three format options: fully illustrated, outline form to color in, and blank to create the students’ own artwork. We encourage you to display the posters at the library or other school location, as well as a local art/cultural center, education office, and elsewhere throughout the community. 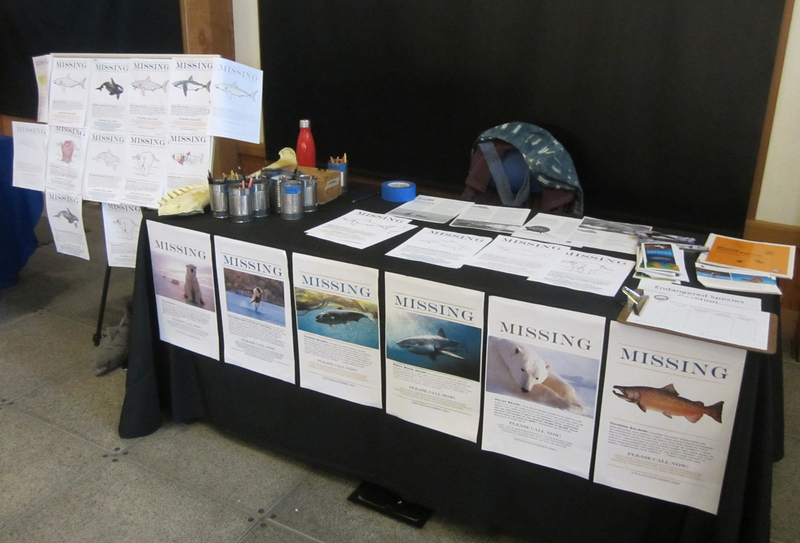 Please send us a photo of your display at missingspeciesreports.endangered.org. *A critical goal of the MSR Project is to give students a greater appreciation for endangered species conservation and how their actions can make a difference. You can suggest they continue learning and stay involved, and we’ve included some ideas for doing so (See Ways to Get Involved). We also hope that you will take time to visit the Educator Idea Exchange to share your MSR teaching experiences, as well as suggest resources and ask questions of other educators. Please let us know if you have any questions. 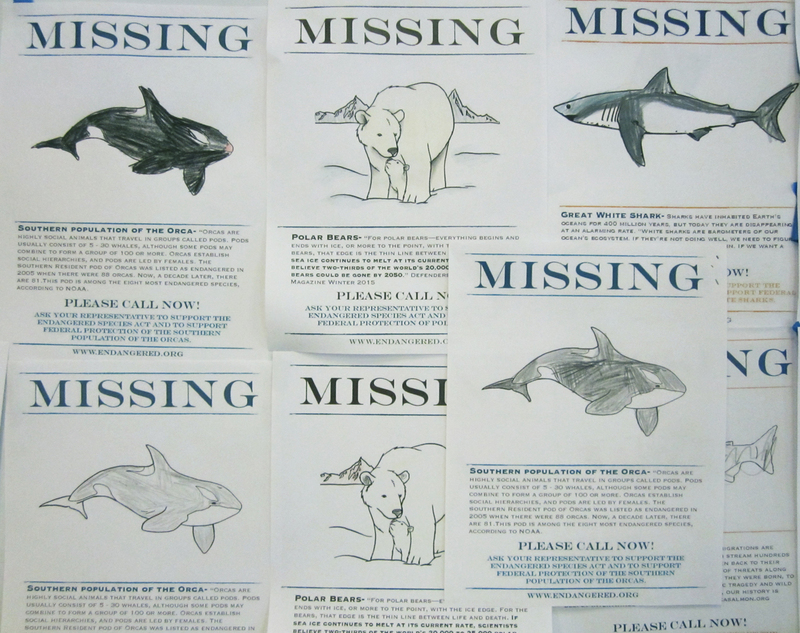 We look forward to hearing about your success with the Missing Species Report.